How do you define security, what is it that you rely on to keep you feeling grounded? As humans we crave to feel safe, stable and free from fear or anxiety, the unfortunate truth is that we are constantly battling numerous fears each and everyday. Our inner self-confidence becomes weakened by our ego mind, perhaps to a point that there is little in life you can rely on, trust and confirm. The ego belittles our self-assurance, the presence of our mind disregards our natural abilities to appreciate our true character, so much so we become a slave to our ego’s forceful fears. Our intuition takes a back seat, where it sits and waits, often for decades before it is awakened by some willful act against the ego. If you are courageous enough at some point in this life experience, you will seek a Mentor, a kind and gifted soul that will accept you as their apprentice, you will slowly become a scholar. Your teachings will revolve around the veracity and honesty of your life existence. This Mentor will assist you in finding you way to the truth of who you are. Along the way of this journey of self discovery, you will come to accept the difference in yourself, you are not the same as everyone else. There is something very magical and unique about each and everyone of us. Sadly we have been programmed to believe in order to be accepted and feel safe we must conform to the masses and stay within the guidelines of our human politics. This is not the truth and this is what you will come to understand and appreciate over time. The teachings will be long and arduous, there will be times you want to give up and fall back. Your soul will have none of that, you made a promise and it is one you must keep. Besides there is no going back, to what, your soul will ask? Once you engage on a spiritual quest, the consciousness that you achieve along the way can not be erased. 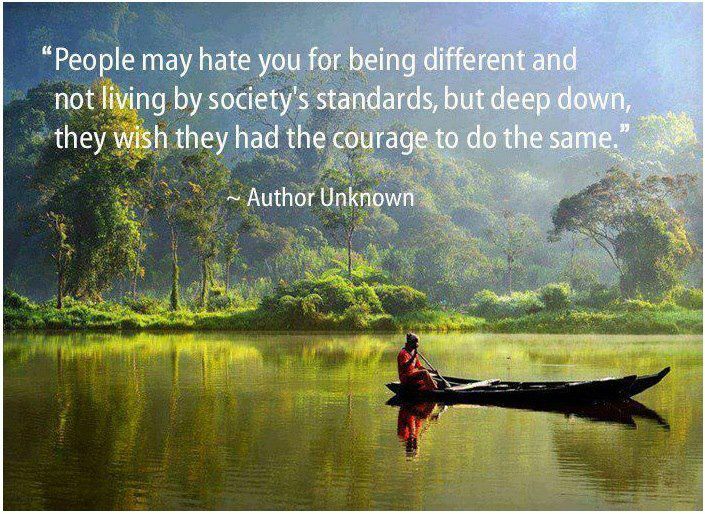 Embrace the difference in your Self, don’t shy away from the authenticity of what makes you stand tall in this world. Because it is only when you tower like a warrior are you truly safe from all harm, the ego is no match for someone who is empowered by their own willful soul. There is safety in being different, ’to thy own self be true’. There is an aura of protection when you stand in the truth of who you are, with no inhibitions. Study hard dear scholars, and let your fears fade as you turn the pages of your notebook, the one with the title etched in gold, ‘My Trusted Life’.